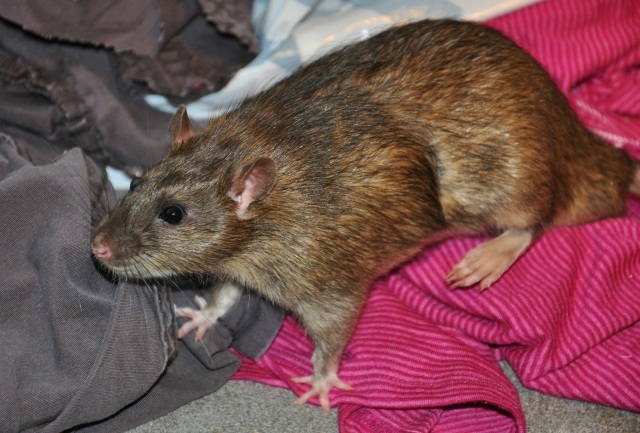 Agouti, sometimes known as the 'wild' colour, is a lovely warm brown. Each hair is made up of three colour bands, Black tip, orange mid section and grey base. The belly varies from a pale silver to a light grey and has a nice obvious line between it and the top coat. You can even see this demarcation line on the tail, the top being darker than the base. 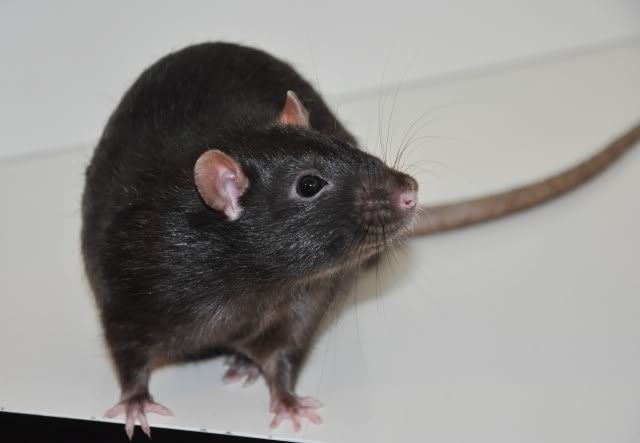 Black is a "self" colour which means the rat i black on its belly and top and all the way along the hair shaft. It is a lovely impressive colour, though prone to silvering and rusting. Silvering shows up well in this picture, its the white speckling coming from some hairs being white. 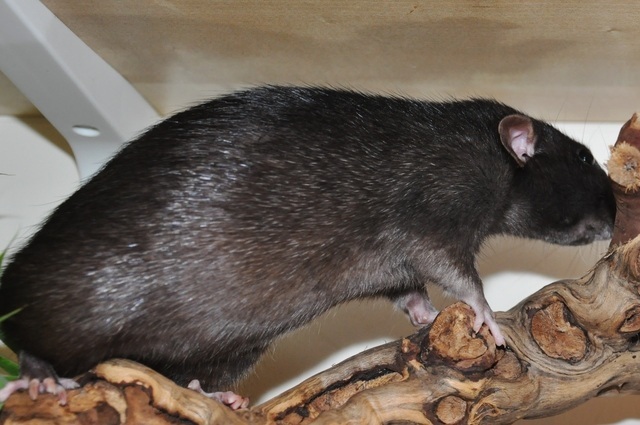 Most Isamu black rats are fairly well silvered, especially the bucks. 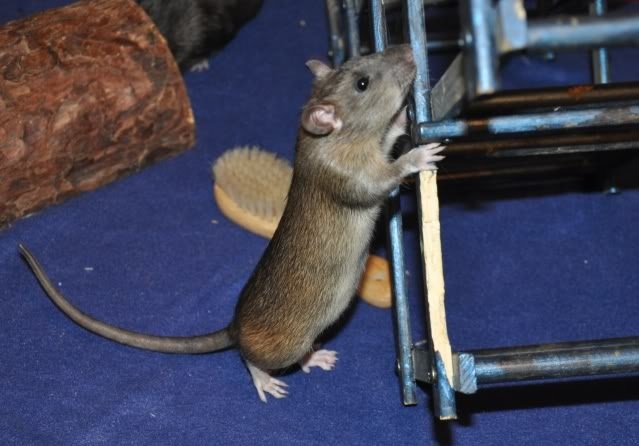 Rusting is where the black turns brown in patches as the rat ages and is a fault. 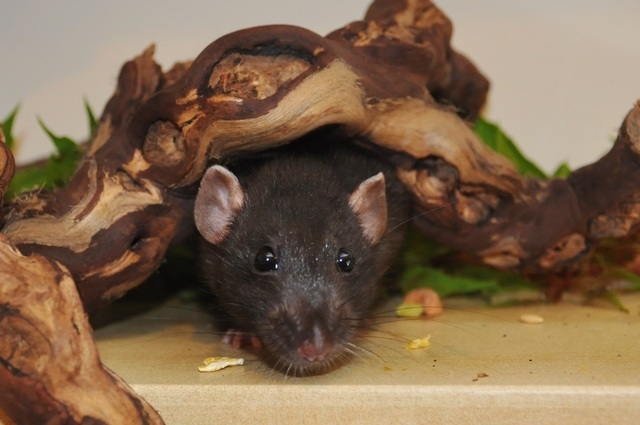 Dumbo is where the rats ears sit lower on the head, giving them a slightly comical look. Its equivalent to the rabbit lop. 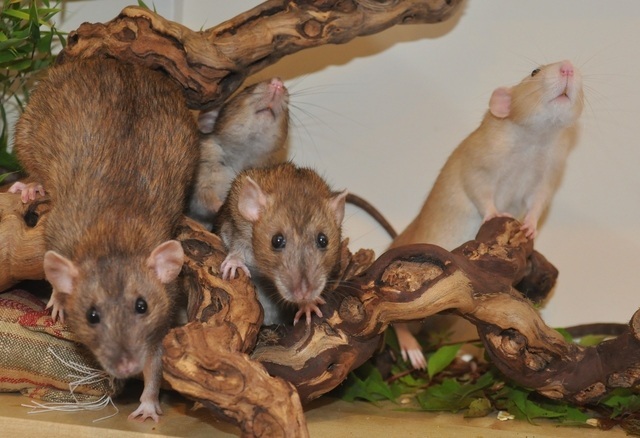 It doesn't change the rats behaviour or make them a different breed of rat (unlike some internet myths claim) and they can be born alongside top eared rats. Good dumbo ears are wide and open without creases or points.